You describe very accurately the frustration of a pilot who may be very competent but does not fly for a living. I do not entirely agree with the notion that power always controls the speed in an aircraft. It is a coordinated manipulation of the controls, together with a thorough understanding of what the aircraft is going to do. And that requires more regular flying than most private pilots can manage to fit into an often busy life doing other things, like running a business or writing about aviation. There also is a difference between flying an approach in a jet and a sophisticated (multi-engined) propeller driven aircraft. A jet aircraft (call it “a jet”) is built to cruise at a high speed. It is sleek and does not have a lot of drag. 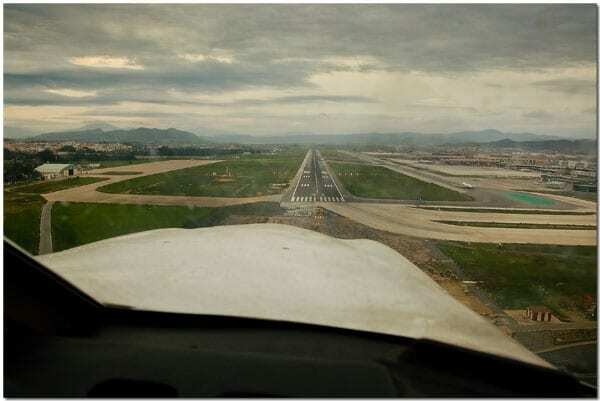 During the approach this is not always an advantage because a small change in pitch can quickly result in an undesirable change of airspeed. And height. And since we are usually trying to bring the aircraft back to the earth (and within a speed range that will allow the pilot to bring it to a halt before running out of runway), that means the aircraft will be descending and thus will pick up speed very quickly. More quickly than when cruising or climbing. Therefore, a stabilized approach in a jet – settled on the ILS – will be flown with a flap setting that gives a good bit of drag. 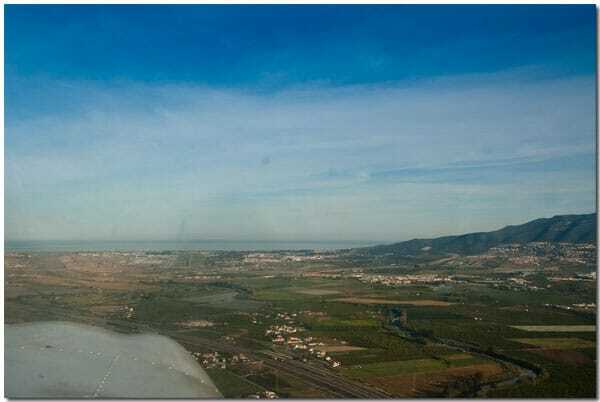 If the weather is close to the minima, the aircraft should be in landing configuration at the latest when past the outer marker and within 15 or 20 kts above Vref, plus a possible wind correction. If the pilot is “in the groove” he or she will have the power set to the “reference power, usually somewhere in the order of 66 or 67 %, depending on wind and weight of the aircraft. In this configuration, there should be no need at all to make any but tiny corrections to the power setting. And, importantly, the pilot will maintain a virtually constant pitch attitude with minor corrections to control the speed and maintain the glide path. Of course, if the wind is strong and gusty and more so if wind shear is present, it may be necessary to make more aggressive power adjustments in order to control the IAS. But even then, a slightly higher speed may be all that is necessary and with that a bit of an adjustment in the (higher) power setting. Jet engines have a bit of “lag” when it comes to a demand for an increase of power. And the jet will lack the extra bit of lift, generated by the propeller slipstream when the pilot asks for a bit more power. When the propeller-driven aircraft is settled on the ILS, if the speed increases, there will be an added amount of propeller drag to bring things back into equilibrium. The engine also will respond more quickly to an increase in power. There is a natural tendency to stabilisation which the jet does not have. Therefore, the approach in a jet will be flown with a fairly high power setting and also with a high flap setting. During lo-vis conditions the flaps will be set to the final landing setting. 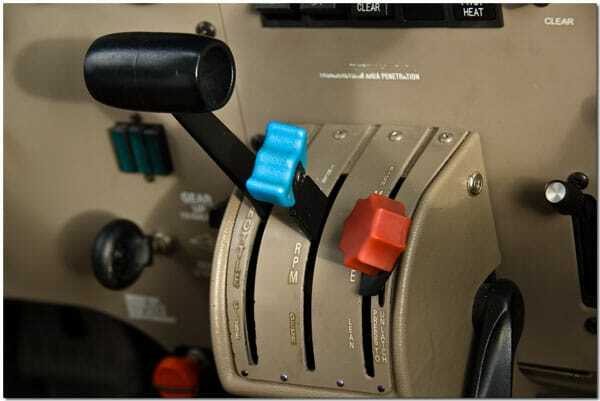 This will generate the drag to prevent the speed running away, and if the runway or the lights do not come in sight at 200 feet (or lower if on cat 2 or 3), an immediate reduction of the flap setting means less aerodynamic drag. The engines will respond immediately because they are running at a high power setting already. 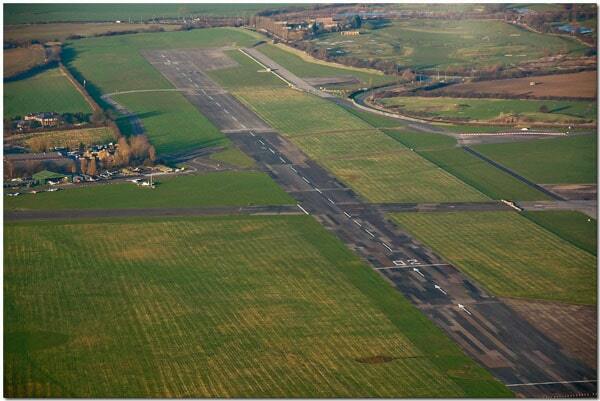 This will allow the aircraft to make a quick get-away if a go-around is called for. In a propeller-driven aircraft the drag will first decrease with declining speed, then rise rapidly until the stall. For a jet, this rise of drag is much less pronounced but, once too far behind the curve, recovery may be more difficult. That is one reason why jets are equipped with stick shakers and -pushers. This also because of “blanketing” of the elevators by disturbed airflow from the wings when approaching stall speed, especially in aircraft with T-tail. The power curve is much “flatter” for jet engines, a stall recovery will take more time (and altitude). Therefore, a stall must not be allowed to develop in a jet. Ah, I did not intend to write a book about flying techniques, I’d better hang up ! Hahaha, no, flying technique is always interesting. Please feel free to elaborate! As some one, who an old boss classified as, champagne tastes and lemonade pockets I don’t have a PPL or indeed an NPL I enjoy having a pennyworth. My flying experience is confined to “trial” lessons and deals for “trial” lessons. The last was in 2014 Cessna 174 with two other victims – I was last to go so loved the extra time in the aircraft as well as the extra two landings/take offs. However the instructor was a nice chap who instructed me to “have control” shortly followed by ” throw about a bit” – erm is that an aviation term? Stuck with a 10 degree left turn followed by a 10 degree right turn then back to straight and level flight. At this point I wondered if our instructor was a bit bored, “you have control” soon had us heading back to Coventry (International – tongue in cheek). I should have unplugged myself but hearing the words I’ll line it up and you can land us “I have control” never having done a landing I was so exited and terrified at the same time I let the aircraft do the work – instructed to “flare-pull back — Pull Back — ALL THE WAY BACK (did I mention we had over ran the 30 minute advisory- yes it was dark -the full lighting display on the approach and runway). Happy days ” I have control ” as we taxied off the runway. My legs were a bit wobbly at the knees but I loved it. Thanks to my instructors confidence in me I did the bit that I had feared the most, don’t know why, it was easy peasy – nah it was great and a boyhood dream fulfilled. Next “trial” when the budget allows (retired on limited income) I may never reach the goal of being “qualified” but hey its all about fun and safety – CREAR PROP. I can’t tell you how much I love this phrase.